Group calls for strong long-term vision at the December climate meeting. A report released by Greenpeace says the world could stop using fossil fuels and be totally reliant on renewable energy by the year 2050. The group’s analysis shows that the investment to convert to clean energy would be recaptured by future savings in fuel costs, and the transition would create employment and be cost competitive. The report published on Greenpeace.com, says 100 percent renewable energy for all is achievable and is the only way to ensure the world does not descend into catastrophic climate change. The analysis also says switching to renewable energy would mean a stabilization of CO2 emissions, and bring the emissions down to near zero by 2050. 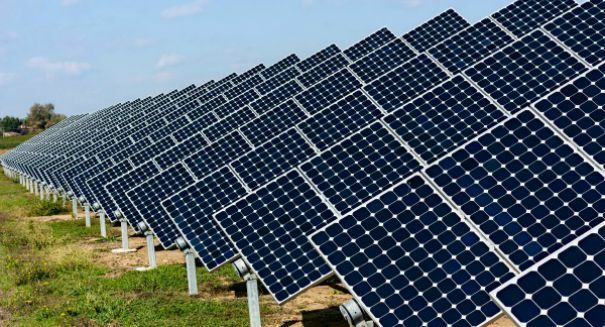 The report said renewable energy contributed 60 percent of new power generation in 2014, and is now competitive with new coals costs in most regions. Within the next 15 years, the share of electricity from renewable sources could triple from 21 percent to 64 percent, meaning two thirds of global electricity could come from renewable energy. Oil and heating will be provided by geothermal and solar, and heat from renewable hydrogen, according to the study. Gasoline would be the last of the fossil fuels used, but will be replaced by hydrogen power. The report says transportation will be the most challenging sector, especially aviation and shipping. The group calls for more research and development of bio-fuels, hydrogen and synthetic fuels. Greenpeace also expects jobs to grow by almost 20 million between now and 2030, due to strong investment in renewable energy sources. It predicts the solar power industry will provide 9.7 million jobs, equal to the number of coal jobs today, and an addition 7.8 million to the wind power industry. The group also says it will cost the U.S about $1 trillion a year to make the switch, but the average fuel cost savings of $1.o7 trillion will offset the expense, and will become cost effective between 2025 and 2030. Greenpeace says the transformation to renewable energy needs to start with a strong commitment at the UN Climate Summit in Paris in December.